Zarqa, Jordan. 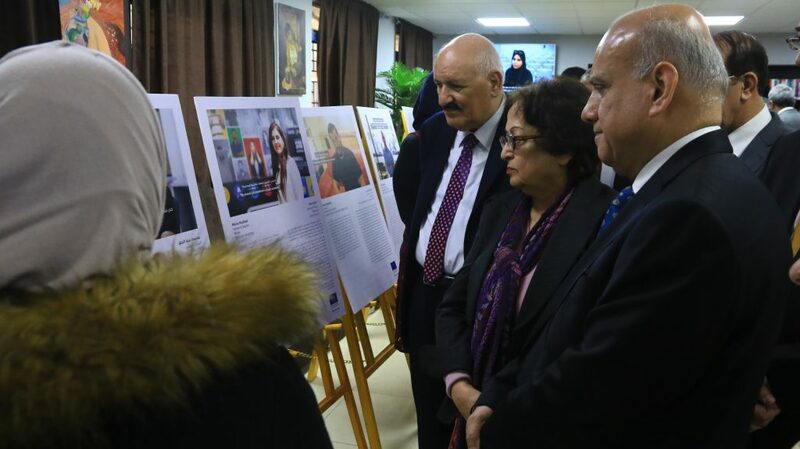 The German Jordanian University (GJU) President, Dr. Manar Fayyad inaugurated ‘My story’ book exhibition at Zarqa University on January 10th, 2018. The Head of the Board of Directors of Zarqa Company for Education and Investment, Mr. Mahmoud Abu-Shaera and the President of Zarqa University Professor, Dr. Bassam Al-Helou received the EDU-SYRIA programme director Professor Dr. Manar Fayyad and the EDU-Syria management team. My Story is a student-led initiative by the EU funded programme EDU-SYRIA. The initiative aims to achieve a better understanding of young Jordanian and Syrian students, their backgrounds and their ambitions. This initiative includes a photo exhibition, a photo-book that has been written and designed by students, and a compilation of videos where the students share their stories. Prof. Dr. Manar Fayyad stated that Zarqa University has been EDU-SYRIA’s partner since 2016. This partnership plays a great role in supporting Syrian refugees to get access to higher education through a set of scholarships. 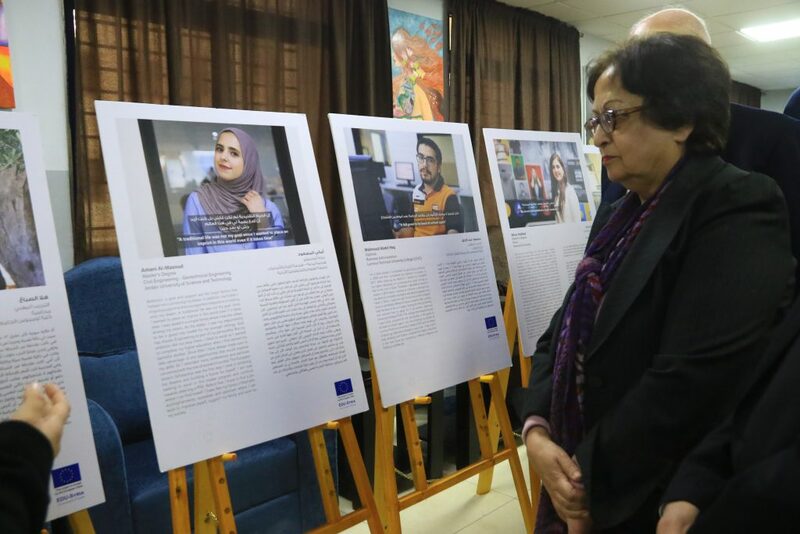 She praised Zarqa University for their support for EDU-SYRIA project at the German Jordanian University and for granting the students the opportunity to pursue their higher education and help them shape a more secure future for themselves.